BlueParrot VXi VR12F Wireless Headset is a durable and strong headset that is perfect to be used for freezer or refrigerator applications and warehouses. 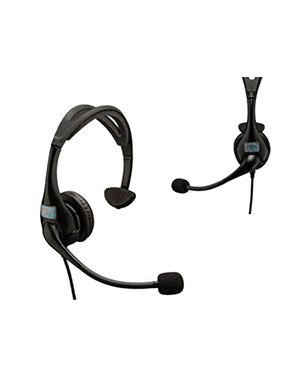 This rugged headset is structured to withstand harsh environment, making it perfectly capable of meeting the requirements of locations like high noise industrial settings and distribution centres. More than just being strong and durable, this BlueParrot VXi VR12F Wireless Headset is also comfortable to be used for an entire day. It also offers users boost in work productivity and improvement in audio accuracy, making it efficient for speech recognition applications and voice-directed picking. Do you want to purchase this device today? 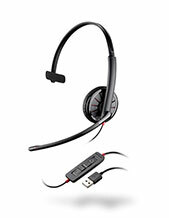 Give Headsetsonline a call today for more info at Australia wide 1300 131 133 hotline! GN Netcom’s subsidiary Jabra is a business and consumer electronics company that was founded in the year 1983 by Elwood Norris. With its headquarters located in Copenhagen, Denmark, the company is well-known in the industry of BPOs, where contact centres make use of high quality and innovative headsets that could last for a long time. 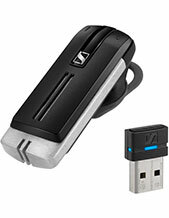 It excellently develops high quality audio and music products, including corded and wireless headsets, which are perfect for office-based users, contact centres, and mobile phone usage. Jabra has its history rooted in Norcom Electronics Corporation, which is a company that was founded by Norris in the year 1983. 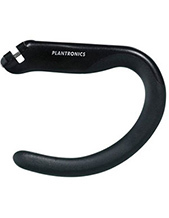 This Utah Corporation has focused its efforts and operations in the development of ear-microphone and ear-radio technologies. It is in this endeavour by the company where Jabra started in the first place. In fact, Jabra was responsible for developing the very first in-ear integrated microphone and speaker ever introduced in the global market.